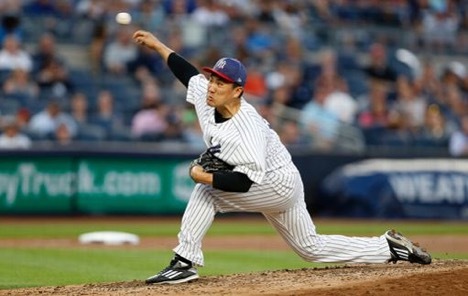 Behind yet another dominant performance by the recently resurgent Masahiro Tanaka, the Yankees picked up a victory to begin their last homestand before the All-Star break. The Bombers were able to scrape together two runs against Blue Jays starter Marcus Stroman, but they were able to break it open against the Jays pen in the bottom of the eighth to cap off an important win in the Bronx. The Bombers got on the board quickly in an eventful bottom of the first inning. Marcus Stroman was uncharacteristically erratic, and the Yankees took full advantage. Following a one-out single by Aaron Judge, fellow Home Run Derby participant Gary Sanchez looped an a single of his own into right field, putting runners on the corners with one out. A four pitch walk to Didi Gregorius loaded the bases for Chase Headley, who received an RBI after being hit by a pitch in the leg. Jacoby Ellsbury followed with another walk, handing the Bombers an early 2-0 lead. 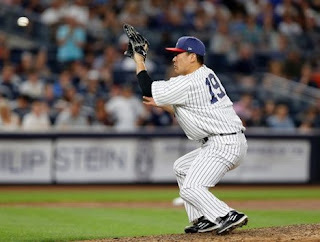 Masahiro Tanaka cruised for most of the game as the right hander continued his recent string of successful starts, dating back to an eight inning shutout against the Rangers at Yankee Stadium. Tanaka did run into some trouble in the top of the seventh. On an attempted steal from Ezequiel Carrera, Gary Sanchez's errant throw allowed the runner to advance to third with one out. The next batter, Darwin Barney, laced an RBI single to right field, putting the Blue Jays on the board, and bringing them within one of the Bombers. Tanaka came up big yet again with Barney on second and two outs, getting Luke Maile to hit a ground ball back to the mound for the final out of the inning. Dellin Betances came on in the eighth inning, and almost gave Yankees fans another mini-heart attack. 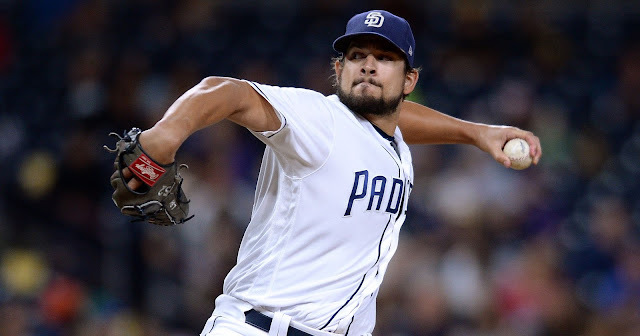 Having blown two straight games for the Bombers, Betances now has a chip on his shoulder. After striking out Jose Bautista to begin the inning, Josh Donaldson walked on a controversial full count pitch that appeared to have been in the strike zone. On yet another full count, Justin Smoak struck out swinging. 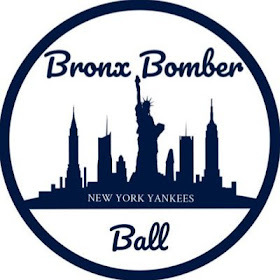 With Donaldson on the move, Sanchez's throw to second base wasn't the best, but Headley's impressive scoop allowed the Yanks to complete the strike him out, throw him out double play. In the bottom of the eighth, the Yankees were set up with the bases loaded and nobody out following a single by Judge, double by Sanchez, and walk to Gregorius. 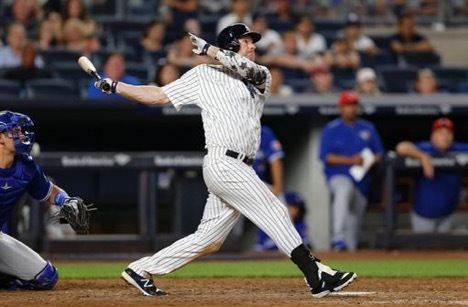 Headley responded with a huge two-run double to right field, providing the Yankees with several much needed insurance runs. 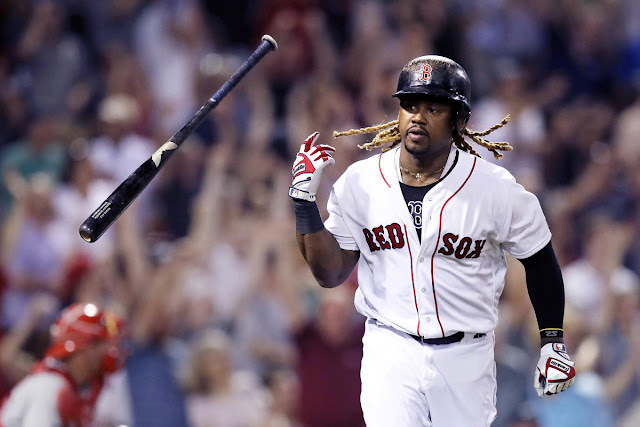 The Yankees scored two more runs to make it 6-1 on a soft ground ball from Ronald Torreyes, after an errant throw to the plate and aggressive slide by Gregorius. Despite having broken the game open in the prior inning, Joe Girardi still called on closer Aroldis Chpaman to pitch the top of the ninth. Chapman continued the struggles that have plagued him since returning from the DL. After a leadoff double by Kendrys Morales, Kevin Pillar's one-out double made it 6-2. Darwin Barney's RBI single trimmed the Yankee lead yet again, this time to 6-3. Fortunately, Chapman did eventually close out the game. 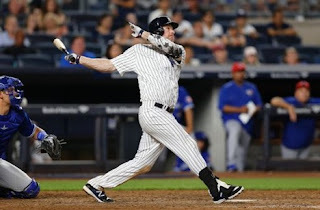 The Yankees will look to hopefully start a winning streak tomorrow when CC Sabathia makes his return from the disabled list and faces off against JA Happ in a Fourth of July matinee.